California Penal Code 1203.3(a) authorizes the court, within its discretion, to terminate probation early upon proper motion by a defendant. The judge may even terminate probation even when the prosecutor objects. However, the court will examine a number of important factors prior to ruling on a motion to terminate probation. The purpose for imposing probation is to ensure a criminal defendant completes all their court ordered obligations – e.g., community service, counseling, fine payment(s). If the court were to not place a person on probation, the court would lose the ability to enforce the sentencing obligations. It should be noted that submitting an early termination of probation motion is applicable to both misdemeanor and felony cases. The court will first consider whether a petitioner has completed all their sentencing obligations. For instance, completed all classes and/or community service, paid all outstanding fines and fees. 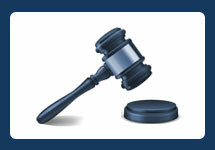 Failure to complete any sentencing obligation(s) will result in the denial of a petition. A petitioner must complete at least half of their probation period prior to filing their petition. There is no statutory requirement for this time period, but most courts require it. For example, if you were sentenced to three years of probation, you will be eligible to file your petition after 18 months into your probation period. A petitioner must not have any other cases pending against them or have any other arrests. The court terminates probation based on its finding of a person’s ability to be law abiding and rehabilitated. If a petitioner picked up another case, then the court will deem the petitioner not fully rehabilitated for the crime(s) he or she committed. WHAT FACTORS WILL THE JUDGE CONSIDER PRIOR TO RULING ON A PROBATION TERMINATION PETITION? Criminal Record: The judge will largely consider a petitioners prior criminal history. Those who have been convicted of their first offense are more likely to succeed with their petition than those who have criminal records. 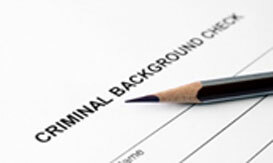 However, having a prior criminal record alone is not a dispositive factor. The judge will consider whether a petitioner’s prior record conforms to their conduct in the instance case. Reason(s): The reason(s) the petitioner is seeking to terminate their probation period. Moreover, a judge is not going to be convinced to terminate probation “..,because [someone] doesn’t want to be on probation anymore.” Instead, having a legitimate reason for seeking termination will play a critical role to the judge’s consideration. For instance, military duty, child custody, immigration, employment, are all legitimate reasons to help convince the judge to terminate probation. Probation Violations: The judge will also consider whether a petitioner suffered any probation violations. Probation violations are critical factors because the judge will reason that misbehaving while on probation does not conform with a person’s character who claims to be fully rehabilitated. There are two types of probation violations: inner-violations or outer-violations. Inner-violations occur when someone fails to complete their community service for example. Outer-violations occur when someone is arrested or charged with another crime. Inner-violations are more advantageous to explain when seeking termination versus outer-violations. Regardless, it’s important to explain the court why you suffered from the violation. Length of Probation: Someone who petitions to terminate probation and whose been on probation for a substantial amount of time may be more likely to terminate probation early versus someone who’s only completed half their time. As noted above, the purpose of probation is to ensure a defendant remains law-abiding while rehabilitating themselves. Therefore, the longer one remains on probation, the better argument they have to prove they’ve been fully rehabilitated through the passage of time. Conduct: The judge may also consider a petitioners conduct while on probation. Moreover, whether the petitioner enrolled in school or is seeking higher education, certificates, awards, achievements, etc. These are all factors and helpful things to show the court that you’ve been fully rehabilitated and are no longer someone who’s likely to re-offend. If the court grants your petition to terminate probation early, then it’s common for a petitioner to seek an expungement and/or reduce their felony to a misdemeanor. The process involves filing a specific petition under Penal Code 1203.4 and/or Penal Code 17(b). If the court grants the reduction and/or expungement, the offense will reduced to a misdemeanor for all purposes and the conviction will thereafter be dismissed. A notation will then be added to a defendant criminal record reflecting that the conviction is a misdemeanor and dismissed. Most petitioners apply to expunge their records because of the benefits it carries when applying for employment in the private sector. 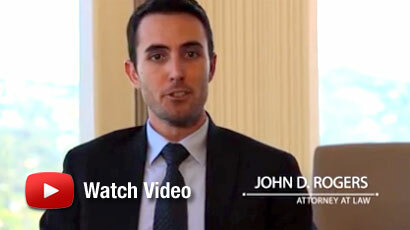 If you’re seeking to terminate misdemeanor or felony probation, contact the Law Offices of John D. Rogers for a free confidential consultation. Our office handles early termination of probation petitions all throughout southern California, including Orange County, Ventura, Los Angeles, San Diego, San Bernardino, and Riverside counties.